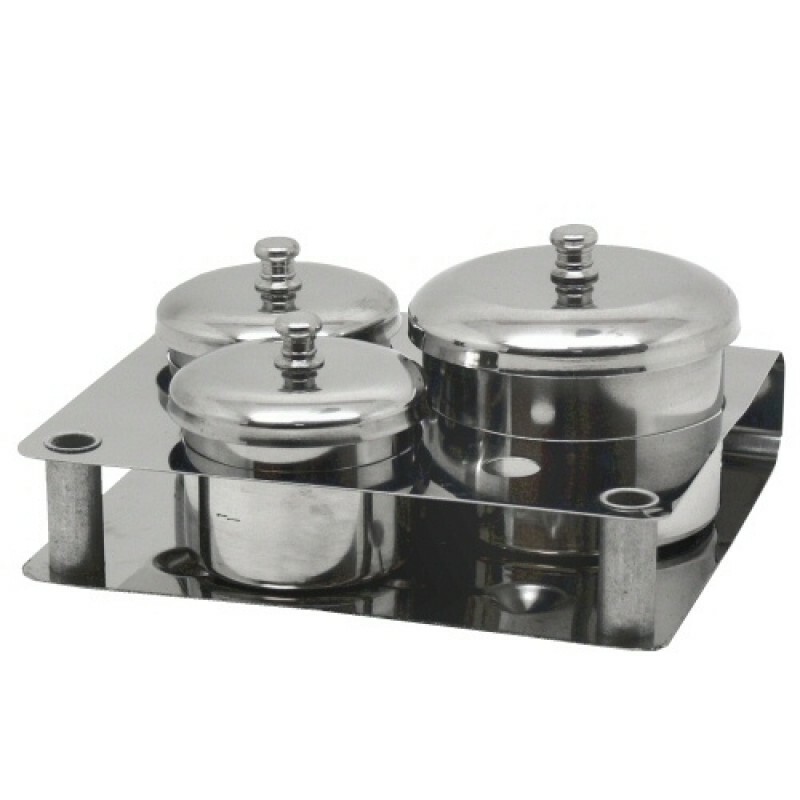 The 3-Piece Nail Container Set with Lids & Tray is a must-have for any nail technician. Made of 100% rust-resistant stainless steel, the organizer for nail products is suitable for storing powder and liquid products and features a clean, high-gloss finish. 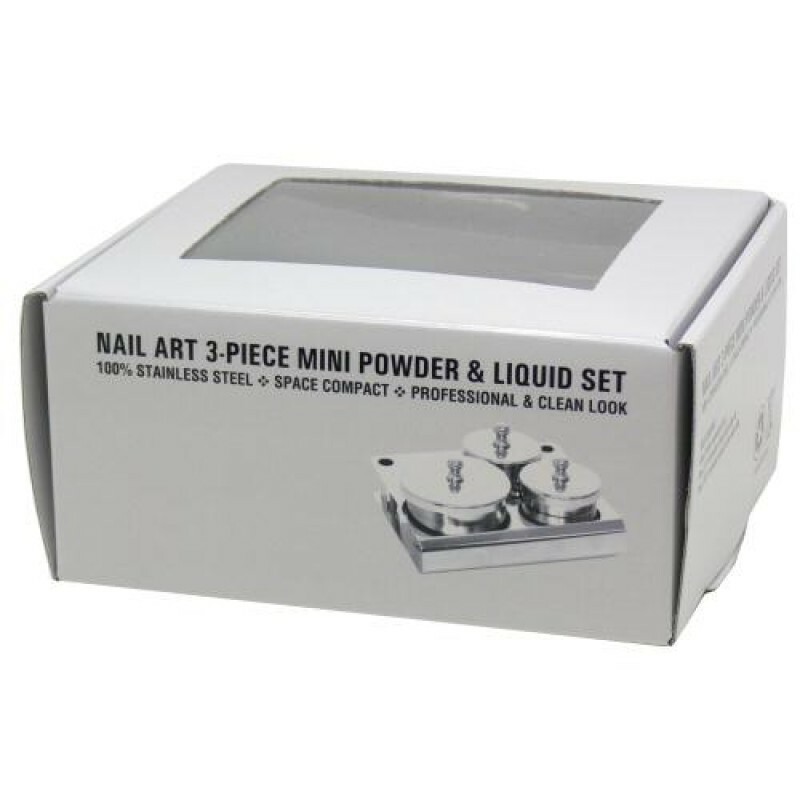 This compact nail art organizer has a tray with circular cut-outs to securely hold each removable container.